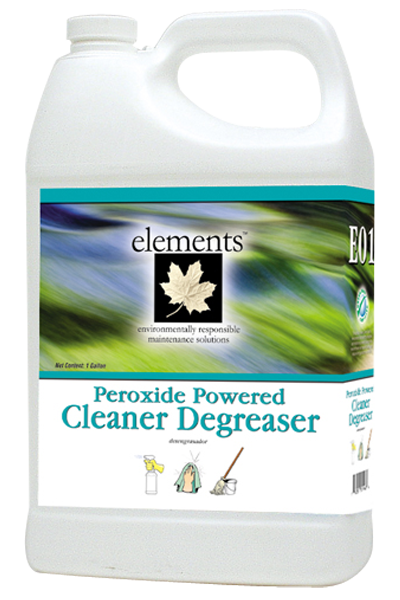 A low toxicity, low VOC, readily biodegradable, hydrogen peroxide fortified, highly concentrated all-purpose cleaner that is specially designed to address the environmental, safety and health concerns facing today’s housekeeping professional. 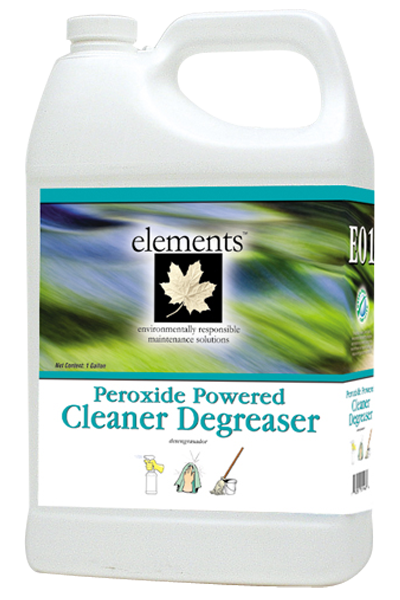 The hydrogen peroxide oxidizes the soil and stains, destroys odors and provides color safe bleaching action. Can be used to clean most surfaces such as windows, walls, floors, tile and grout, washroom fixtures, tubs, showers, toilet bowls and urinals. No rinse required. 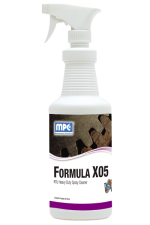 General Purpose Cleaner – Dilute 1 to 2 ounces of product per gallon of water. Apply with spray, mop, sponge, or cloth to surfaces to be cleaned. If necessary, agitate to help remove excessive soils. Wipe dry with clean cloth or rinse with clean water as needed. Floor Cleaner – Dilute 1 ounce of product per gallon of water in mop bucket or auto scrubber. Mop or auto scrub floors with cleaning solution. Pick up soil and excess cleaner with clean mop or vacuum suction. Rinse mops frequently and change solution as needed. 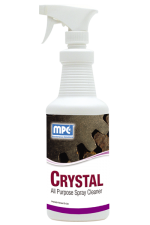 Carpet Cleaner – Dilute 1 ounce of product per gallon of water. Fill extraction equipment and extract carpet. If necessary, use as a pre-spray. Allow product to dwell 3-5 minutes, and then extract carpet with a rinse and neutralizer. Bathroom/Tile Cleaner – Dilute 4 ounces of product per gallon of water. Apply with spray, mop, sponge, or cloth to surfaces to be cleaned. If necessary, agitate to help remove excessive soils. Wipe dry with clean cloth or rinse with clean water as needed. General Purpose Degreaser – Diluted 4 ounces of product per gallon of water. Apply with spray, mop, sponge, or cloth to surfaces to be cleaned. If necessary, agitate to help remove excessive soils. Wipe dry with clean cloth or rinse with clean water as needed. Weight per Gallon 8.48 lbs./gal.